For those who are looking forward to climbing on our school residential trips, we have a video that is sure to motivate and terrify you in equal amounts, and before you press play, don’t worry we won’t be taking you to the heights seen in the video! A few days ago, arguably the world’s best climber, American Alex Honnold became the first person ever to free climb Yosemite’s imposing ‘El Capitan’. He not only set another new record, but set a new bench mark as to what’s possible in the world of climbing. Free climbing involves climbing without the ropes or other safety gear, and by scaling the near vertical 3,000-foot granite wall, many are calling his latest mission the ‘greatest feat of pure rock climbing in the history of the sport.’ To put the height of this piece of rock into a perspective so that you can comprehend, El Capitan It is higher than the world’s tallest building, the Burj Khalifa in Dubai. After spending the night in the van he calls home, he started lightly stretching just after 5am, before eating up his favourite breakfast of granola, chia seeds and blueberries before starting his climb at 5.32am. In just 3 hours. 56 minutes he pulled his body over the final ledge and made history at 9.28am on a beautifully sunny Californian day. This incredible climb has been over a year in the making, with only a small circle of friends knowing Honnold’s plan and being sworn to secrecy, as well as helping him train in various locations, such as the United States, China, Europe, and Morocco. Last November he had a first go at the famous granite wall but turned back after ‘something felt off’. A team of filmmakers, led by his close friend and climbing partner Jimmy Chin, and Elizabeth Chai Vasarhelyi, who captured the ascent for an upcoming National Geographic Documentary Films feature, which you can see the sneak peak of, below. As he hung on to millimetres of rock, legs hanging thousands of feet above the meadow floor, it was Alex’s unique ability to stay calm that was his biggest asset. And while other climbers are similar to Alex physically, there’s no one that comes close to his mental ability, with neuroscientists studying the parts of his brain related to fear to see how they might differ from the norm. 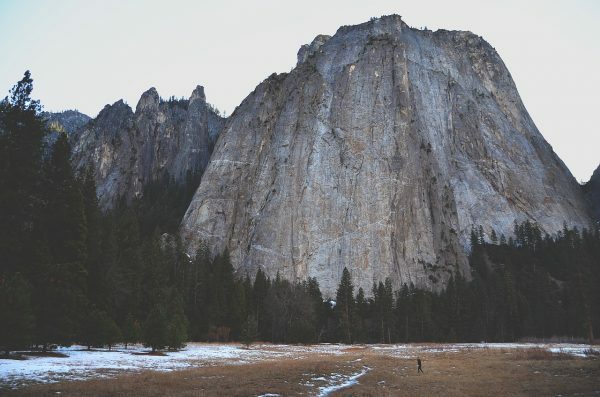 “There’s just so much climbing history in Yosemite, and El Capitan is the most iconic wall here, you know? When Lynn Hill became the first person to free climb The Nose on El Cap, it established a new level of difficulty in the sport. So, take inspiration from this incredible human endeavour and apply it when you take to the granite cliffs on your Cornish school residential trip.